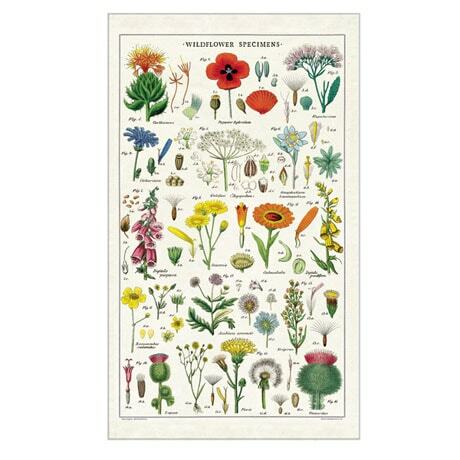 Poppies, foxglove, thistle, and many other beautiful blossoms bedeck our charming Vintage Wildflowers Tea Towel. Featuring colorful scientific sketches of more than fifteen wildflowers, this oversize (18"x32") 100% natural cotton tea towel is the perfect addition to any kitchen or bathroom. Comes packaged in a pretty drawstring bag.